Renovations involve much more than deciding on which designs to try or materials to use; they are also about which projects add more value to the property. Home improvements cost a lot, so you want to make sure that before you tear down a wall, your labor will be worth it—financially. Replacing siding is one of the most cost-effective ways to improve the appearance of property’s exterior. It generally provides the highest return on investment (80%) among renovation projects. Siding replacement practically gives the entire home a totally new look. According to the report, fiber cement is the ideal material choice for such projects. Having been in the construction industry for many years, we can confirm the benefits of using fiber cement for siding replacement projects. The material offers optimal protection against harsh elements, like fire, strong winds, or hailstorms. It is also termite proof, ensuring that it lasts longer than other standard materials. Other than durability, you can also count on added visual appeal from the material because there are many colors and styles available. On the average, you can look forward to a 60% of return on investment when you add more rooms to your house. The labor essentially doesn’t involve plumbing fixtures or major appliances, so it doesn’t require too many expenses. Moreover, additional space and an open floor plan beside your kitchen results in a gathering area that appeals to modern homebuyers. When you decide to sell your home in the future, this feature will add to its appeal significantly. We can help you in this kind of renovation. From design and plans to building permits and actual construction, you can count on us. Some homeowners don’t realize it, but replacing windows are a money-worthy improvement. The project generally yields 70% returns on investment. 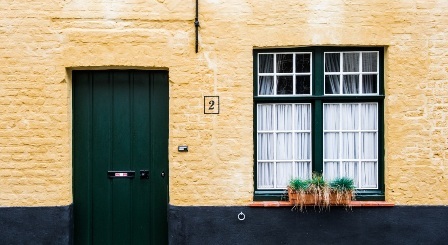 Windows contribute to greater curb appeal. Moreover, it is one important home feature for energy-efficiency. With most home buyers looking for ways to save on utility bills, having vinyl windows can increase property value. We especially recommend vinyl windows for our clients. Other than their energy-efficiency benefits, they are more cost-effective and durable. They also require minimal maintenance, avoiding the need for repainting or refinishing. Consider these money-worthy renovation projects and let us help you in your home improvement needs. Talk to us today. Send us a message with your desired project, and we'll contact you in no time. There are currently no comments for Fix and Finances: Renovation Projects that Add Property Value According to Stats.